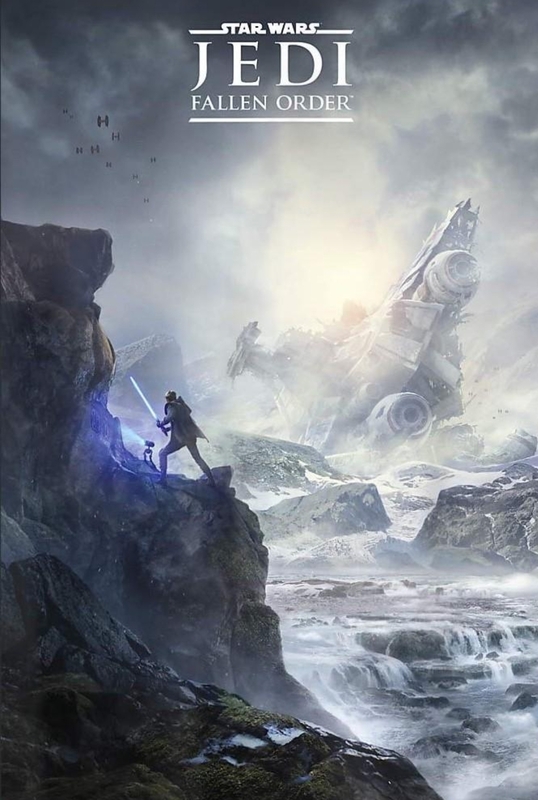 Supposedly this is going to be a single-player game set after the events of Revenge of the Sith (though the TIE Fighters in the distance suggests it's closer to A New Hope). It's being produced by Respawn, of Titanfall fame. The full reveal is coming on the 13th. I'd like to think that the Battlefront II farce gave EA something of a kick up the arse from Disney, because a big-budget single player Star Wars game is such a bloody obvious decision that it's incredible that EA haven't made one in the years they've had the license. That's promising, the single player on Titanfall 2 is great. Zampella confirmed it would be single-player only the other day plus there will be no multiplayer or microtransactions. Hmm. There's nothing in there putting me off, but I'm surprised at how little it grabbed me too. Perhaps it's just the lack of any sort of information as to how it'll play or even what genre it fits into. That black helmeted character looks to be an Imperial Inquisitor; an order under the command of Palpatine and Vader that hunted down the survivors of Order 66. They're force users with red lightsabers, but they're not quite Sith. They could make for an interesting recurring boss character. It's in the Unreal engine, not the Frostbite which is unusual for EA. There was a wall running bit so I'm guessing it'll be similar in style to Titanfall 2, so FPS probably? Could be, but given that it's undoubtedly going to have lightsaber combat, I'd expect a TPS if it's a shooter at all. It could switch between the two as the later Jedi Knight games did. Agreed. Something akin to Jedi Outcast would be quite well received, though given the era and theming they're going for, I'd have thought it would be more heavily weighted towards the shooting rather than the lightsaber duels. It sounds a bit like an Assassin's Creed game, which I think could be a good match for Star Wars. It looks as generic as anything and I'm very disappointed that they went with a young white male as a lead. Hopefully it plays well but right now I have very little interest in it. As I said elsewhere: "BECOME A JEDI"
...like in nearly every Star Wars SP game ever. I will reserve judgement until we see actual gameplay. CGI trailers do nothing for me. Jackfrags gives a bit of info on the game. Been in production for past 5 years. People from the films and animated series involved plus devs from Uncharted, Bioshock, CoD and Titan Fall. Could have some potential.